Sometimes, things look inherently evil. That does not make them bad, though. Quite the opposite, because this Killers Mask has a look that screams sinister intent and still manages to be nothing less than extraordinary. This mask is made from high quality 8/9 oz. leather, and is modeled, at least to a degree, after the eerie masks that are seen on killers in fiction and film. 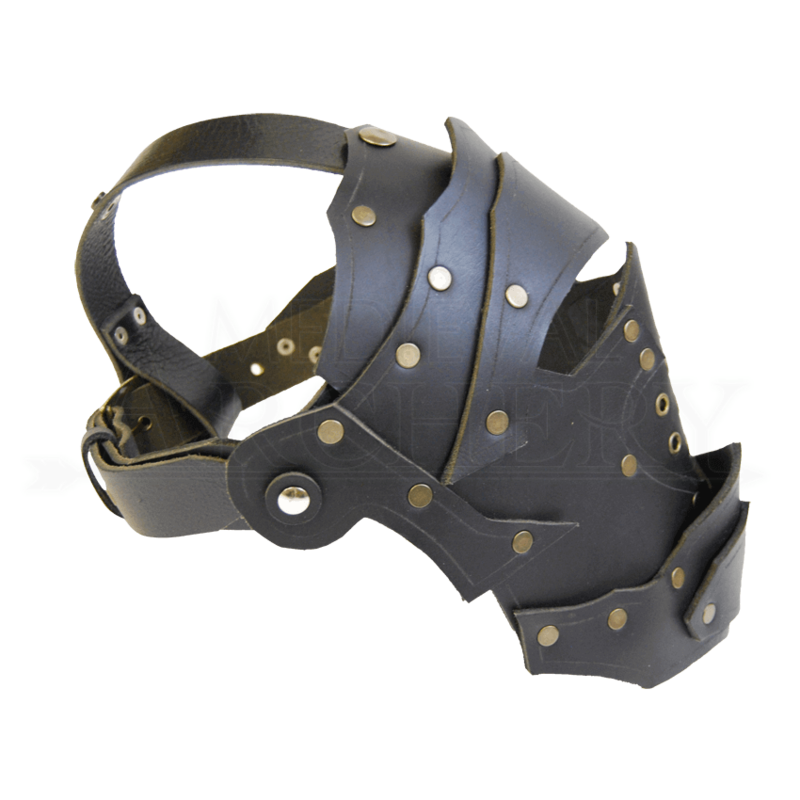 The mask has almost total facial coverage with only an open eye vent to allow the wearer to see, while also featuring grommets that allow the wearer to breathe and speak while they wear the mask. Leather plates on the chin and forehead provide all the coverage needed to hide ones face, while creating a look that will leave others shaking in fear. The back of the mask features a vertical, over-the-head strap for situating the mask on your head and a horizontal, around-the-head strap with buckle for securing the mask firmly in place. The horizontal strap can also be rotated to suit the wearers comfort. The mask is available in one size, although its leather strap allows for some degree of adjustment.